– 4.2 acres available (will divide) Shovel ready. – Located in SW Wichita at intersection of West St. and MacArthur Rd. only 1/2 mile from I-235! 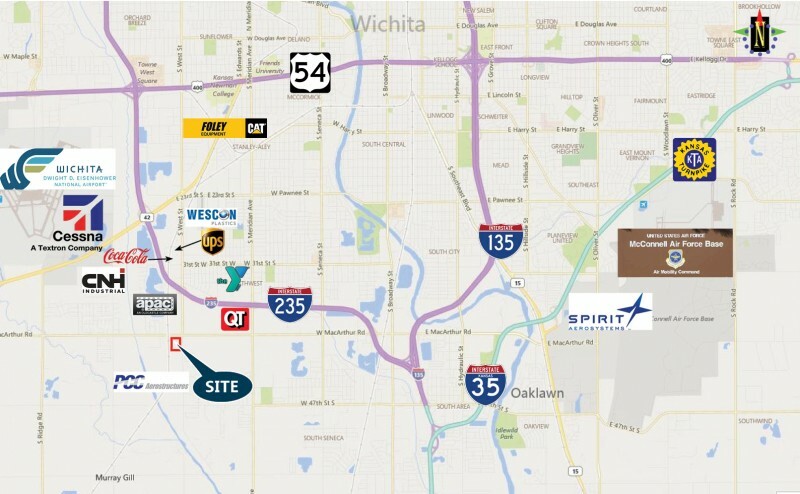 Don’t miss this opportunity to locate your business in the heart of Wichita’s most prominent industrial corridor!